Mount Agung; a view of the volcano from Nusa Lembongan. Rosie testing out a travel cushion. Cocktails while the sun sets over Seminyak Beach. 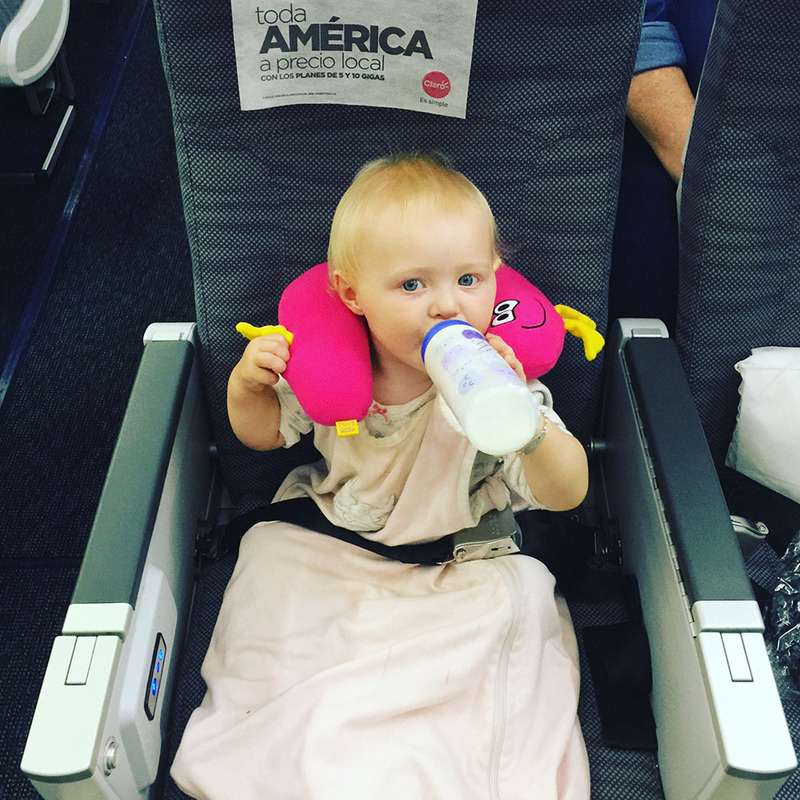 If you (or a friend) are traveling within Europe with an infant, please read on to discover how you can get 3 seats in Business class for less than the price of 2 seats in Economy. The most beautiful view out of our bedroom window in Montlaur. We're headed to the Southern States of America for the final post in the road trip series! Highlights from the Great White North; wine, miniature donkeys, mountains, and more! One of Dale Chihuly's glass "chandeliers"
Highlights from a whirlwind visit to Seattle! A very confident Barbary macaque, with the densely covered city of Gibraltar below. Gibraltar - Mischievous Monkeys and Oodles of History! A fascinating few days in Gibraltar. Part 6 of the roadtrip series! Lunch at Dim Sum: The Art of Chinese Tidbits in Happy Valley. Brightly colored, patterned ceramic tiles, known as “azulejos”, cover the outside of buildings all over Portugal. Our beautiful hotel in Seville, Hotel Hospes Las Casas del Rey de Baeza, where the streets are lined with orange trees. Spain - Pintxos, Fine Art, and Fiestas! Part 4 of the epic 5 month road trip takes us all over Spain! Part 3 of the five month road trip is all about France! Rosie dressed in her temple clothes. Celebrating the triumph of good over evil. Part 2 of the 5 month road trip is all about ENGLAND! The view from our rooftop infinity pool in Kuala Lumpur! How stunning is this? If you look closely you'll see that the bike is actually real. It's been fastened to the wall over the painting!